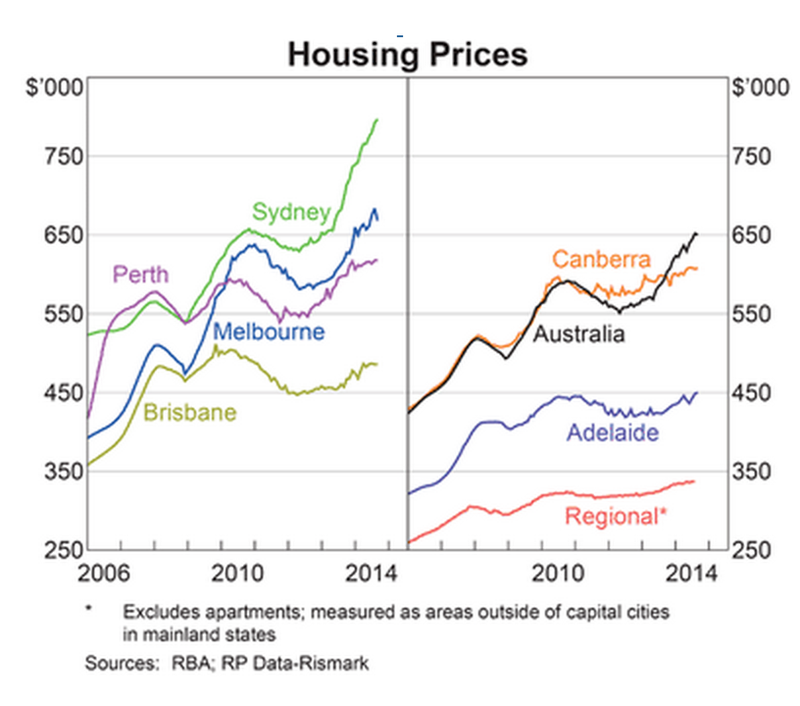 Posted on November 26, 2014 Author thomasthethinkengineCategories UncategorizedTags business investment, economy, house prices3 Comments on The most important question in our economy: Why will we invest in housing but not business? I was on the train last night at about 10.15pm, heading home from the city. Ticket inspectors got on. So I reached into my pockets to grab my Myki. I held it in my hand as the ticket inspectors went up and down the carriage, checking left and right, until they came across the two women sitting opposite. The two women, aged perhaps 25 and 45, had just rushed onto the train at the last minute before it rolled out of Flinders St Station. Other than that little flurry of activity I hadn’t noticed them. I worried about these two ladies being able to pay the fine. Probably, I imagined, they wouldn’t and would end up in court. Probably, I imagined, the presiding judge would sigh when they saw the long list of priors. As the inspector wrote out the last few details on the ticket, the older woman got a bit snarky. “Do you get off on this?” she asked, pointedly. “I’m just doing my job,” the inspector said, in a voice that was controlled and milky-mild. Whether inspectors really enjoyed checking tickets, or were simply doing their job, you’d think they might have checked mine. I was wearing a suit. My partner and I had just been to the art gallery to see an exhibition. We’d been guests of a company that sponsors the gallery. They had served food and drink before letting us loose into an after-hours visit. We were grateful for the night out and we enjoyed the exhibition. “Aren’t we lucky to get to see this?” we said. But it may be even luckier to have people look at you and assume you’re not guilty. So what’s the lesson? Life’s easier in both obvious and subtle ways when you’re from a privileged background. It’s worth remembering. Why are there puppies in toilet paper commercials? 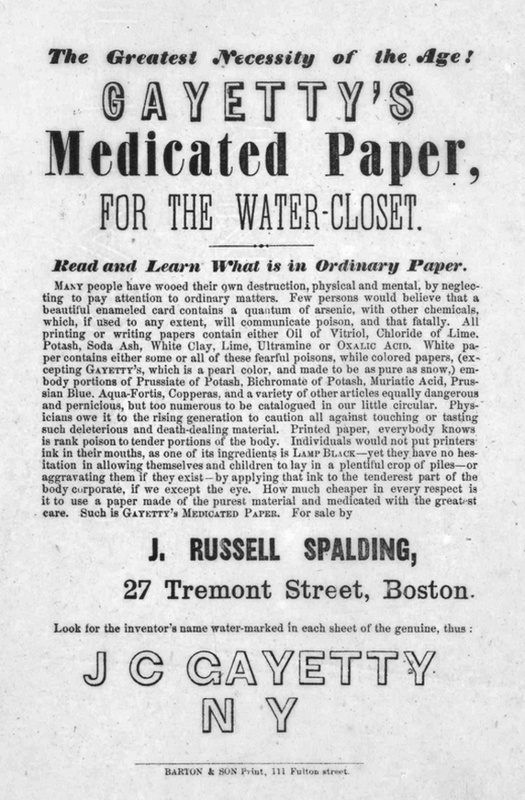 Toilet paper is a consumer brand that has been around for over 100 years. The basic product proposition has evolved very little, and the marketing is a tricky issue. You can’t really depict the product in use, or even go into detail on its performance! Luckily, marketing often works best when it ignores those issues and uses metaphors to talk to people. 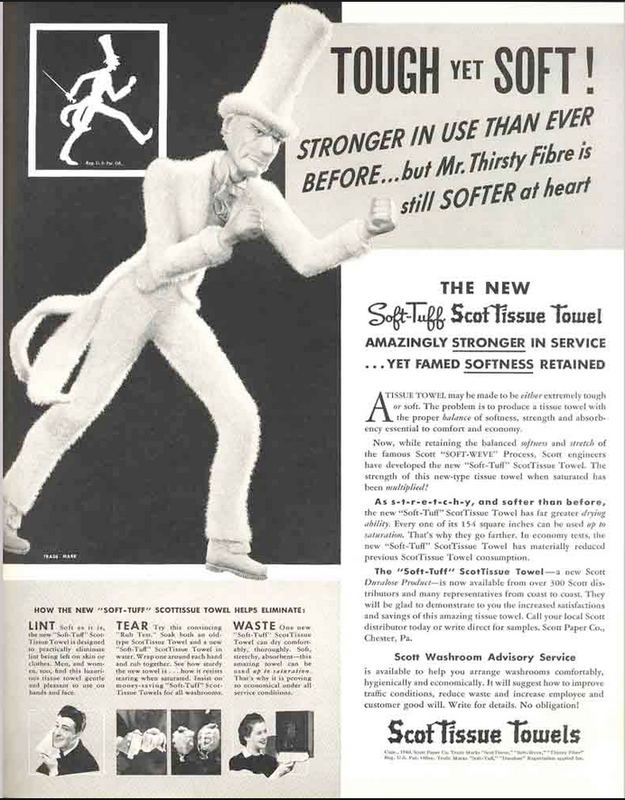 By the 1920s, the Scott company had a mascot called Mr Thirsty Fibre. As you can see, he’s a fighter, (tough) but made of loops of paper (soft!). Fast forward about 90 years and the basics of TP marketing are basically the same. You’re selling the idea of softness and strength. But the metaphor chosen is different. It’s a puppy. In the 20th century, the whole science of meaning-making blew up, with experts like Chomsky and Lakoff exploring how humans make meaning out of language and symbols. In favour of signs and symbols that any semiotician can tell you are just as easy to interpret. Especially if you’ve been subject to a barrage of advertising your whole life. Puppies are softer than a full-grown dog but still strong. They are not scratchy like a kitten might be – in fact puppies may be the perfect TP metaphor. While Kleenex chooses a cute yellow puppy, Purex goes for a brown, wrinkly one. Are they trying to convey what I think they’re trying to convey? Best to not think about that too much. This is basically moist towelettes for the bathroom. But they’ve given up on metaphor. The marketing message is wordy and long. If they are keen to convey the need for water to really clean, they needs to use something that is wet and clean as a metaphor. If they don’t want to leave the animal kingdom, I might suggest a dolphin. Aren’t dolphins more or less the puppy of the sea? Another thing that seems synonymous with being clean and wet might be a car. In fact, sn advertising campaign where a smirking guy drives around in a just-washed car while everyone else drives around in a car they’ve tried to wipe with paper might be exactly the marketing message that Kleenex needs. Posted on November 24, 2014 Author thomasthethinkengineCategories UncategorizedTags marketing, metaphor, semiotics, toilet paper1 Comment on Why are there puppies in toilet paper commercials? Posted on November 20, 2014 November 20, 2014 Author thomasthethinkengineCategories UncategorizedTags abc, Economics, media, public goods4 Comments on The ABC should be slashed. But not like that. The best way to fix Australia’s road and rail might be out of left-field. 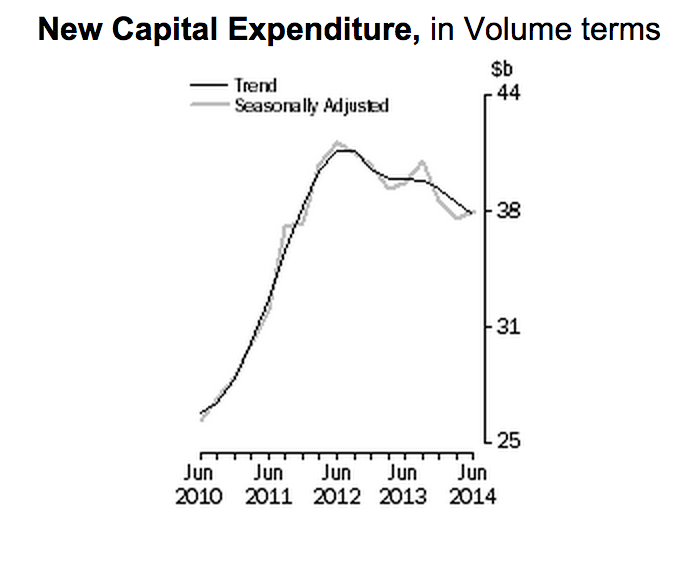 Australia has a problem with Infrastructure. We keep building the wrong things. We spend a huge amount of time developing proposals that have benefit cost ratios less than one. Then, for want of alternative proposals, we turn those proposals into reality. There are many reasons for this – politicians serving certain electorates, powerful lobby groups, bias to action, and inability to fix infrastructure through pricing . But part of the problem is a lack of options. 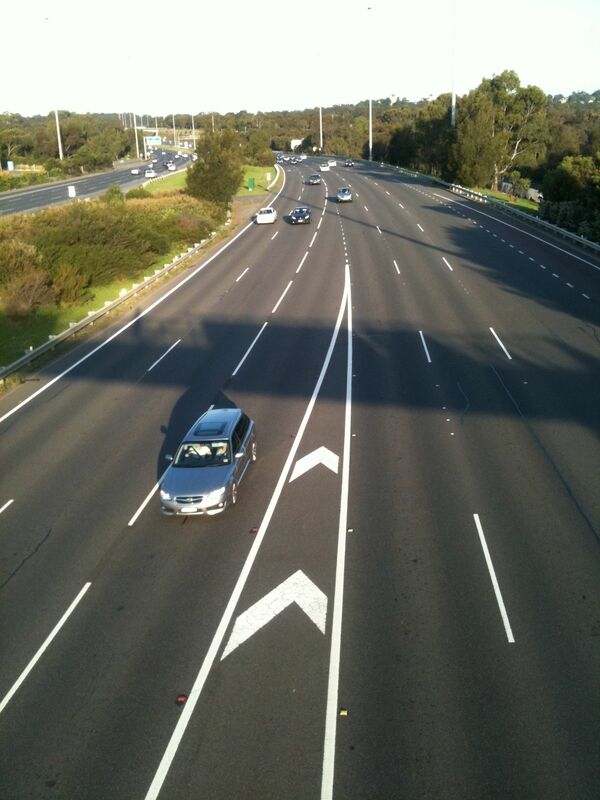 We build the East-West tunnel in Melbourne because it is the only idea that’s been properly developed and discussed. We put Sydney’s new airport at Badgery’s Creek because it’s the one location that has been kicked around for years. We plan a light rail line up the middle of Canberra, because that concept has been publicly flogged since Burley Griffin. To find one great infrastructure plan, you need to discard 99 good infrastructure plans. But Australia doesn’t have 99 to throw away. There’s a lot of talk about developing a “pipeline” of infrastructure ideas. But politicians are very risk averse, and big infrastructure companies don’t want to waste money on business plans. So our pipeline is the diameter of a carpet python, with a couple of big lumps where it has been fed an approved mega-project. Even with this courageous bureaucrat in charge, the old Infrastructure Australia was unable to renew the infrastructure planning system. With his blood all over the carpet, the new Infrastructure Australia is cowed. Even if it makes our political leaders uncomfortable, Australia desperately needs a truly independent infrastructure development and analysis capacity. But how? I think the answer is not a bureaucracy. I think the answer is by using technology. The same technology that has helped humanity create the biggest encyclopaedia in history and a hugely detailed map of the entire world. Imagine a website where you can start a page for any infrastructure project you might dream of. You want to extend a train line by a few kilometres? Start a page with a description and a map. You want a helicopter pad installed at the local sports ground? Start a page with a project description and a map. You want to build a very fast train between Melbourne and Brisbane? Start a page with a project description and a map. Each page would be able to be edited by absolutely anybody. There would be a section for environmental impacts, a section for cost estimates, a section for estimating time for planning and building, a section for land-use changes and implications, a section for creating a cost-benefit analysis. Most pages would be the hare-brained schemes of the lone wolves of suburbia. The pages would be underdone and silly. But by asking the community to rate each page, the better ideas would attract contributions from a range of talented people and rise out of the muck. This could bring unforeseen solutions out of obscurity. For example, when I was writing about the ridiculousness of the state government’s plan to put a new railway station in South Melbourne, right on top of an existing tram stop and miles from the new development it ostensibly serves, I found in the depths of the internet forums the suggestion that the problem could be solved better with a train line that runs from north-east to south-west. This idea may have a cost-benefit analysis ten times better than all the existing plans. But how would we know? There is a choke-point for shining light on new ideas, and its name is the Department of Transport. Risk-averse and slow-moving, DoT can only be expected to properly consider a few ideas that it thinks the government is interested in. If you want to find one project with a cost benefit analysis good enough to build, you need to look at 100 or 1000 projects across the country. The current pipeline is starved of proposals, so it is no wonder the infrastructure policy space is so sickly and anaemic. 1. The majority of analyses on the wiki would be defective. But the community should privilege the ideas that have the most potential and these should attract rational people to contribute. I expect projects will be submitted with wild underestimates of their cost, and there will be a push by more rational people to actually use cost estimates that reflect realistic Australian pricing. On the ‘discussion’ pages I imagine there would be fierce argument about why it is we can’t have projects delivered at the prices that apply in China, America, etc. Projects with decent estimated benefits should be most willing to use realistic pricing. 2. Monorails and personal rapid transit. It’s going to be hard to keep really wild ideas out of there, but perhaps that’s the point. 3. Splintering into too many pieces. Every little change in a proposed plan (should this freeway have an exit here or here?) would potentially lead to a new page being created, with a new set of costs, environmental impacts, etc, etc. Conventions and rules may need to be developed to guide when a change is big enough to warrant a whole new entry. But wikis are good at developing cultures and rules that make them effective. 4. The whole thing would be at risk of being ignored if there was no suggestion governments would at least look at it. The project would be a really great thing to seed with some official resources, for example, freely available mapping software for wiki users to use, some models for doing traffic and demand forecasting, recommended ranges for cost per kilometre of roads, bike lanes, tram lines etc. I’d like to see it hosted at infra.wiki.gov.au to give it a sense of official imprimatur and encourage involvement. Perhaps the government could loose a few bureaucrats or pay a few infrastructure experts to play with the wiki to get it started, anonymously having them make edits and bring in a bit of rigour. So, is this a good idea or a mad one? Is there some aspect of wikis I have overlooked or some problem I’ve not foreseen? Leave a comment below or hit me up on Twitter! Posted on November 19, 2014 Author thomasthethinkengineCategories UncategorizedTags Australia, Economics, infrastructure, planning, transport5 Comments on The best way to fix Australia’s road and rail might be out of left-field. Should we tax and subsidise foods? I’ve been thinking a lot about diet. A doctor changed my regimen just recently and I won’t go into details, except to say that I may have had my last pasta carbonara. Ever. farewell to you too, pork belly sandwich. Along with all the time I’ve spent reading labels in the health-food aisle, I’ve been spending time reading about how food affects the human body. I’ve always considered myself a pretty well-read and savvy guy. I think about food. But there have really only been two things I thought about. Eating the right number of calories. You can see a little example of what I was eating in 2010 at this link: Lots of fruit, some vegetables, but also lots of chocolate and chips and booze. I look at this photo, I see salad. My diet today is pretty different. One of the things I’ve been reading a lot about is gut bacteria. There is a big link from the bacteria that live in your gut to your overall health. The bacteria do a heap of really important work (like protecting against allergies), and can cause major health problems, not limited to gut problems. They may be involved in a lot of mental illnesses and multiple sclerosis. The gut bacteria also respond strongly to diet, so you can change the populations in there by eating differently. But that’s not all. They also help change your dietary choices! So you could potentially create a cycle where you start feeding bugs in your gut, instead of feeding your own body. The big point I’m going to make in this post is that science keeps moving on. It’s amazing how little we understand about nutrition. Some vitamins were discovered within the last century. And the science remains sketchy on whether vitamin supplements help or hurt people. If I were designing a tax and subsidy scheme for food, and it was 1990, I’d probably have subsidised low-calorie cola, following the principle that fewer calories are better. But in 2014 science has found evidence that diet coke changes your gut bacteria in a way that induces glucose intolerance. And advice has changed on wine, chocolate, cholesterol, coffee, bread, etc. The history of nutrition advice is a turbulent one. I increasingly believe that eating better is a good idea. But I’m also aware that trying to fine-tune people’s diets leads to a risk of making a scientific mistake. And that’s even before you look at the chance of making a policy mistake. Even for foods that are clearly and unambiguously unhealthy, you need to understand why people eat them before you can succesfully make policy that helps people not to choose them. This great story from the Atlantic The Inconvenience of Salad covers off on a few of the traps that policy makers fall into. For example, the idea that the problem is availability of healthy foods – the ‘food desert’ concept. That idea did not get support from a study in Philadelphia, where scientists eagerly tracked fruit and vegetable consumption after the opening of a local store. They found it had no impact. 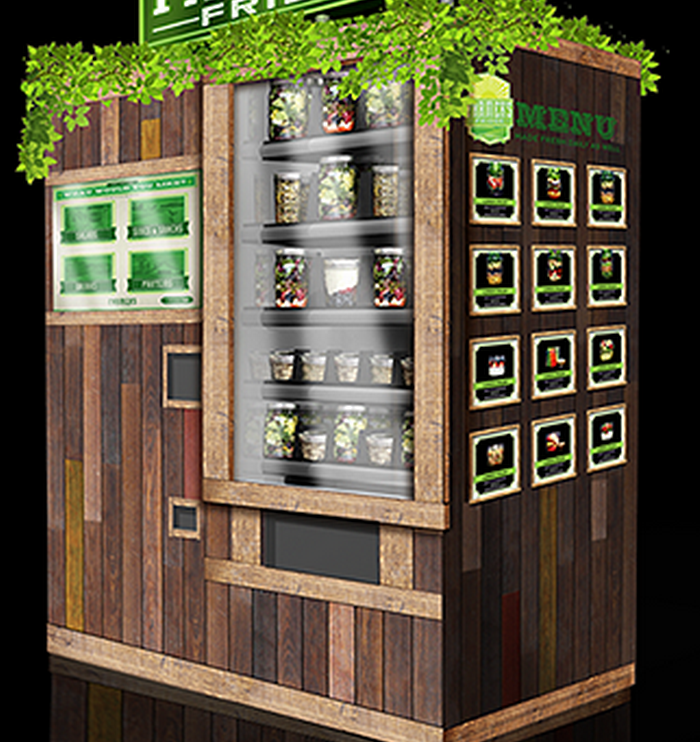 The Inconvenience of Salad is a really nice feature that follows around a young guy who has opened a business putting salads in mason jars, putting the mason jars in vending machines, and putting the vending machines out in public. While I was reading the article I kept thinking that the US should subsidise this guy. But then I tried to take a step back. How sure am I the science won’t change? How sure am I the subsidy will make a difference to behaviour? The answer in both cases is I’m fairly sure. But not certain. There is a big natural experiment in Australia. We actually do tax (most) processed food but fresh foods are not subject to the GST. Despite this, I am yet to see a single study showing that the 10 per cent tax difference between the two has led to any change in diet, or in health. Has the study not been done for lack of data? Or because obesity has been rising so fast researchers fear what they might discover? If anyone is aware of such a study, please bring it to my attention! Posted on November 13, 2014 Author thomasthethinkengineCategories UncategorizedTags food, Health, TaxLeave a comment on Should we tax and subsidise foods? Posted on November 12, 2014 Author thomasthethinkengineCategories UncategorizedTags happiness, money7 Comments on Does money buy happiness? I say yes and so does the data.